Views! Privacy! Location! No HOA ! This Custom Estate offers Stunning sunrises & sunsets, Vast area of protected open space enhances unobstructed views of the mountains. Home features Huge Master bedroom w/sitting area, large master bath, his-n-hers custom closets. The master wing includes separate office and home gym. Large open great room floor plan with soaring ceilings is viewed by the Gourmet kitchen with commercial grade Viking appliances, Custom Alder cabinets, Double Ovens, Heating Drawer, built-in microwave, massive slab island bar & breakfast area opens to Great Room. Walnut & Stone floors, cantera stone & Barrel ceilings throughout. Do not miss the 1,000 bottle wine room and $100,000+ Home A/V system managed by Control 4! See it Today! Directions: North on 128th Street, Turn Right on Cibola Road, East to end of Cul-de-Sac. Home on left. Approximate size: 51834.00 sq. ft. Please, send me more information on this property: MLS# 5910466 – $2,070,000 – 12970 E Cibola Road, Scottsdale, AZ 85259. 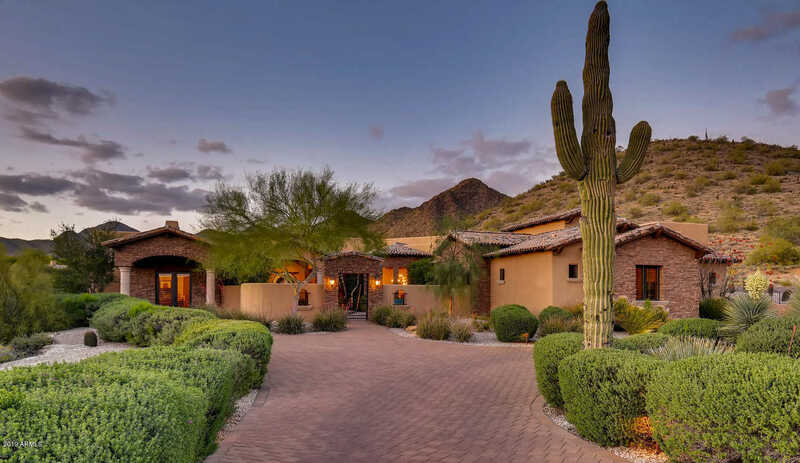 I would like to schedule a showing appointment for this property: MLS# 5910466 – $2,070,000 – 12970 E Cibola Road, Scottsdale, AZ 85259.